Leave your hotel in Taba by an air-conditioned 4x4 jeep addressing Nuweiba as you visit the Colored Canyon, you will be dazzled with the fantastic colored stones as well as it is a perfect place for the fans of hiking. A visit to the canyon provides instant recognition of where it gets its name. 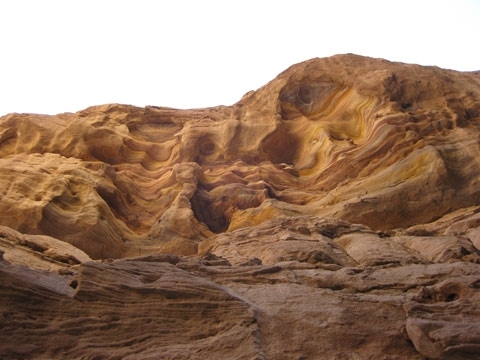 The walls of the canyon, which reach up to sixteen stories, are easily the most colorful and intriguing rock formations in all of Sinai. They were created by the erosion of water upon sandstone and limestone. In Nuweiba you see the splendid port of Nuweiba & visit the Bedouin Tribes. As well you can see the mountain of Saudi Arabia on the other side of Al Aqaba Gulf.